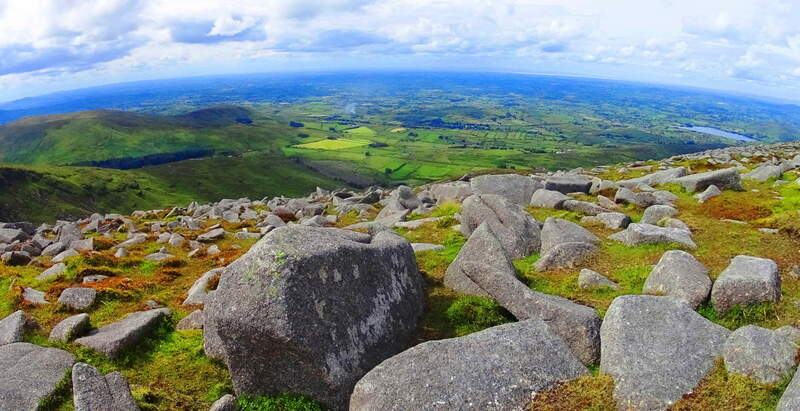 Note: In an almost hidden pocket of Northern Ireland, several hours drive north of Dublin, along the Irish Sea, sits the majestic Mourne Mountain Range. This is a region of beautiful mid-size peaks with approaches that are for everyone, not just the highly trained. The hike here includes a 4000 year old stone pathways which elevates steadily and comfortably into the heights. These ancient trails run beside wide streams and ledges that roll playfully down from the rocky mountain passes, and feel cool and comfortable in this northern latitude. In the heights of the mountains are cinematically continuous stone walls which stretch surreally from peak to peak, like a “Rangers Highway”. There are stunning ancient stone statements here as well. Original stoneworks here date back to the first culture, a culture which left its mark on this hauntingly beautiful place, perhaps 6000 years ago, or more. The southern face of Mount Bearnagh has a distinct ‘top porch’ which is level at the peak, with similarly sloping sides, giving the entire face a symmetrical feel. If you look close at the image below you may think its hard to find me in such a massive space; but redirect your eye to the exact center of the overall mountain, then follow that center line down to the stream, and you will see me standing at that exact center line of the scene. I am leaning a little to my right just enough to put my right eye along that center line; indicating that its possible to see potential symmetries in even the grandest spots. 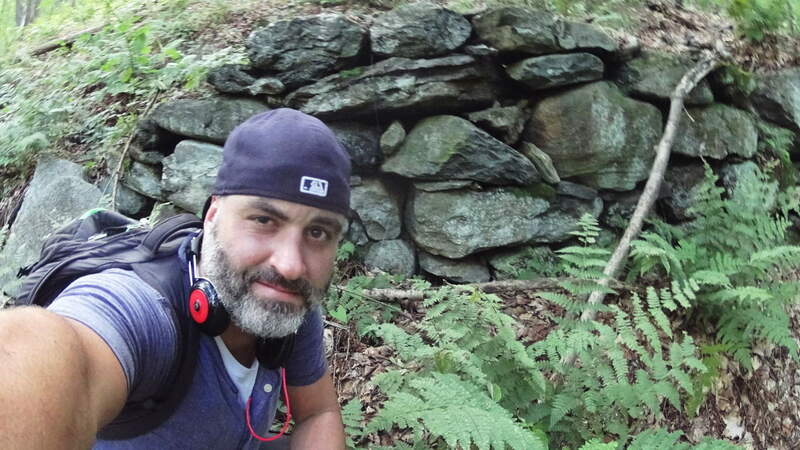 I did the same thing at the ‘center point’ of Bear’s Den Fall’s in Massachusetts (See Bear’s Den/New England/Stonestrider.com), in order to illustrate the central alignment at a specially engineered site, which in this instance is easier to see from close range. The reason for leaning on the ‘center lines’ of potentially symmetrical scenes is to acknowledge the possibility of a mathematical consideration of the overall space, which often leads to real breakthroughs in identifying Neolithic statements. The works of Neolithic craftsman reveal that they were absolutely aware of geometric principles and symmetries. Like Feng Shui, Neolithic symmetries, and spacial statements, create beauty and tranquility in any type of scene. Mount Bearnagh is part of majestically enchanted Range where Neolithic statements continue to increase the further up the valley you go. 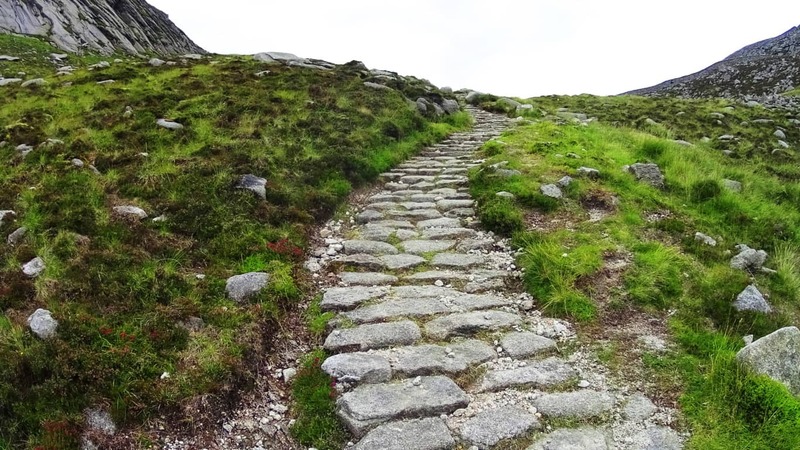 Trail: The approach at Mount Bearnagh is practically flawless. 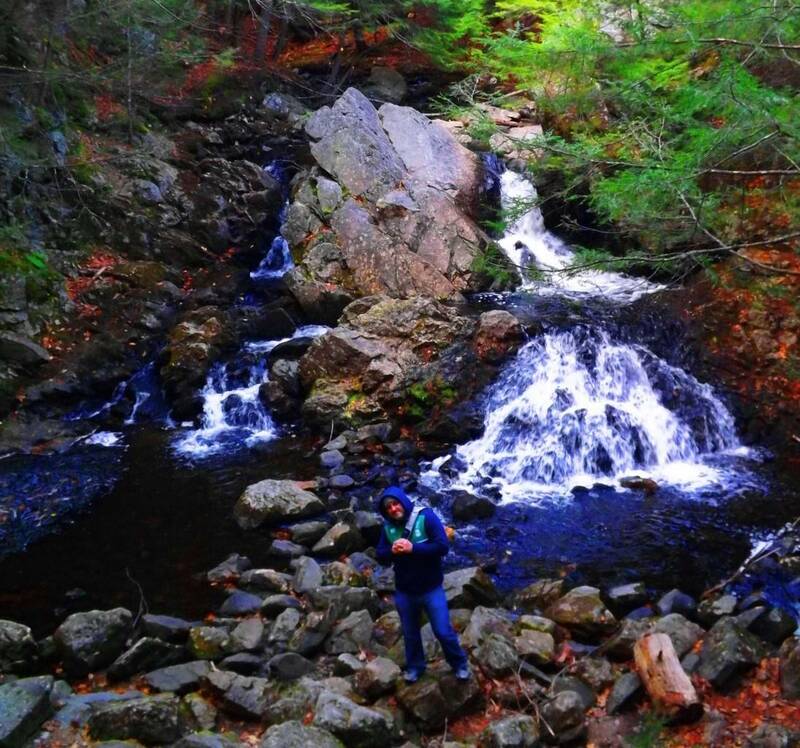 It is everything you could want in a day hike. This is a comfortable set of pathways, trails, ancient roads, and riverside runs that steadily progress, first to the Pass, then to the Peak. To the southwest of Bearnagh is a great hiking station and parking plaza with a cafeteria and campgrounds which can be found on-line. Plan your excursion before arriving for best results. Here Irish school-age children set up tents, along with international hikers, in the shadow of the gorgeous southern Mourne Range. Below is a look at the farmers road headed directly out of the Mourne towards the station. 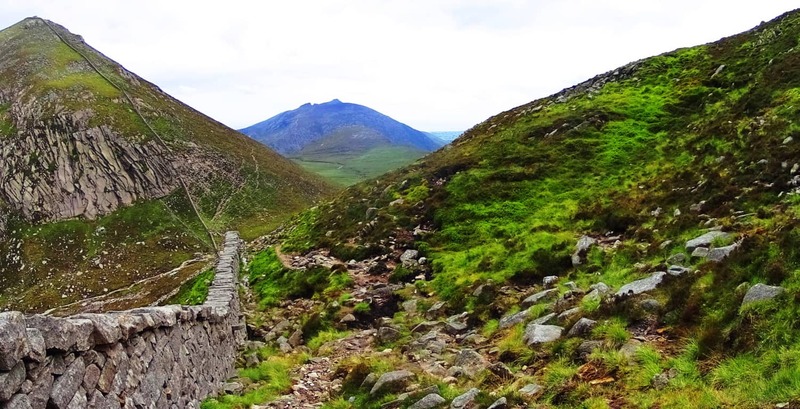 From this simple tractor path you will begin your trek into the Mourne. After about 150 yards you will emerge out of the hedge to find a rocky path. Turn left, heading west along this rocky path for roughly 200 yards. Carefully cross over small streams, fairy pools, and massive stones to eventually come to the main wide valley trail, which is a wide rocky path turning blatantly north. Mount Bearnagh will be directly to your right as you begin to ascend what can only be described as an ancient Celtic road, all the way to the top of the valley 3.5 miles beyond. Roads like these are so ancient that we can only guess as to who built them, and are most often associated with the Celts, although that may not necessarily the case. With an entire mountain range before you, and a beautiful rocky stream gushing along to your right, you can steadily make your way up to the Pass. At about 1.5 miles into this part of the trail wildflowers begin to emerge, along with boulders that seem centered on the peaks above. The feeling of rarity and dimensionality sets in; like you’ve stepped into another time. Rising into the area of about 1500 feet above sea level vast amounts of uniquely shaped and colossal crafted stones begin to emerge all around the trail. 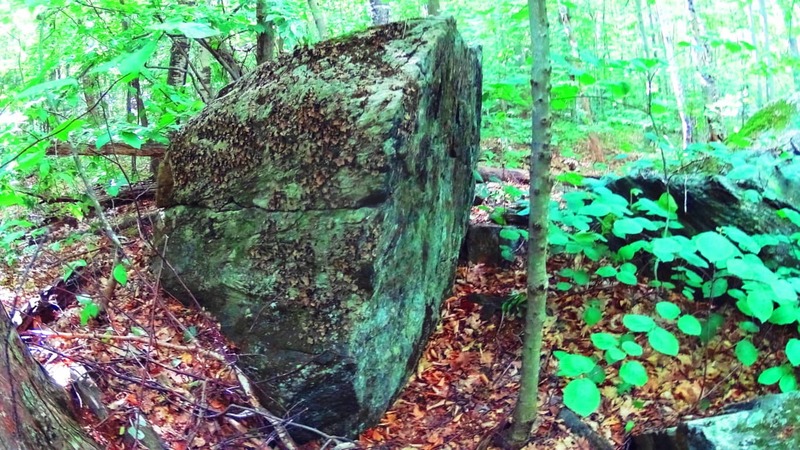 Often times what looks like arbitrarily placed glacial stones are actually quite the OPPOSITE. 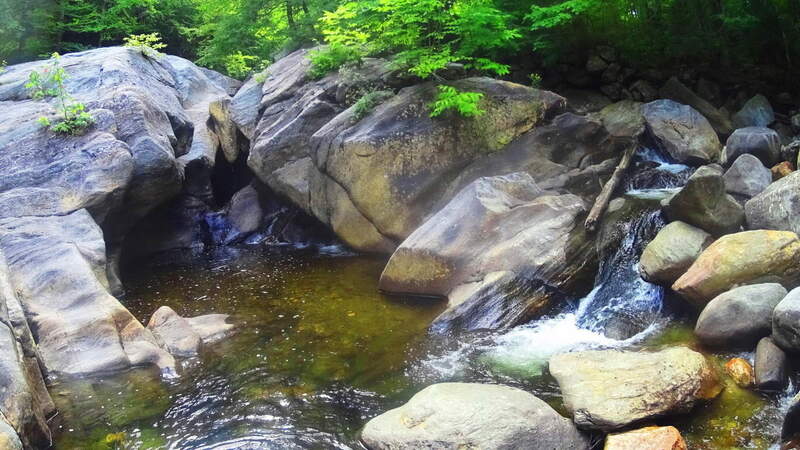 A closer look at the inundation of stones all about the valley reveals incredible and strange fixtures of stacked, quarried, and interlocking stones. About 3 miles into the trail a beautifully carved and truly amazing megalithic boulder that is encircled by smaller stones. 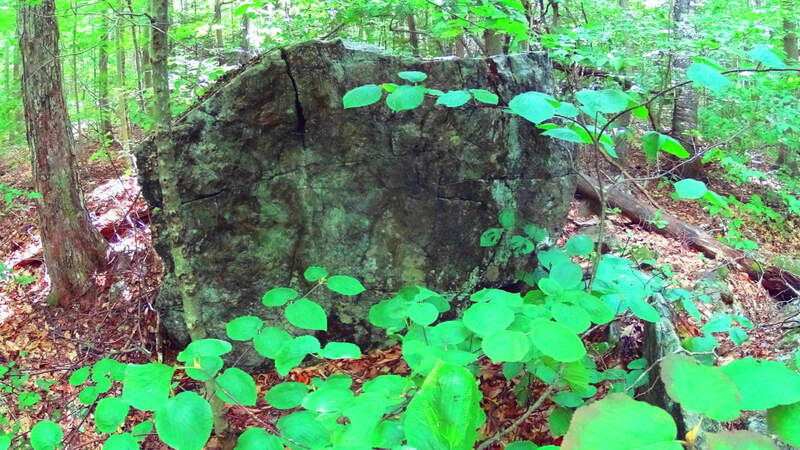 This embracing of smaller stones lends this boulder a certain significance. Looking at this “seat” you cannot help but feel that this stone was created for exactly that purpose, as a “seat” for viewing the valley below. Obviously the amount of work it would take to move this stone is remarkable. Who would do such a thing 1000 feet above the valley? 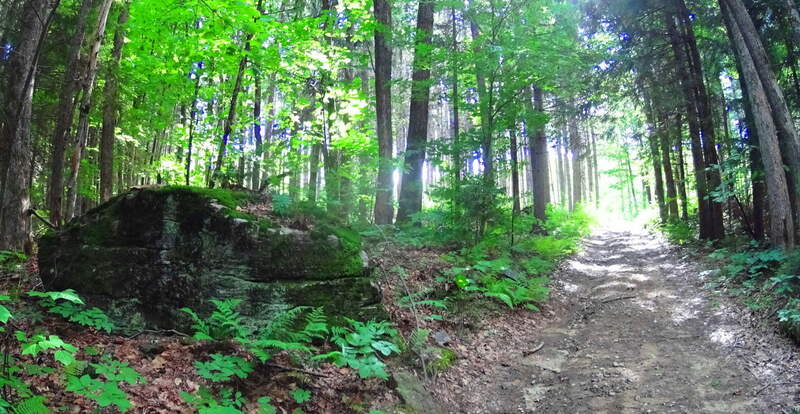 Beyond this amazing “seat” the trail becomes a wonderful stone path veering to the north-east. A heart warming view of the valley below becomes more dramatic with each step. These pathways look like something out of a fairy tale. The Pass at Mount Bearnagh will be a short distance ahead from here, with stone walls from two utterly different era’s guarding the top of the valley. 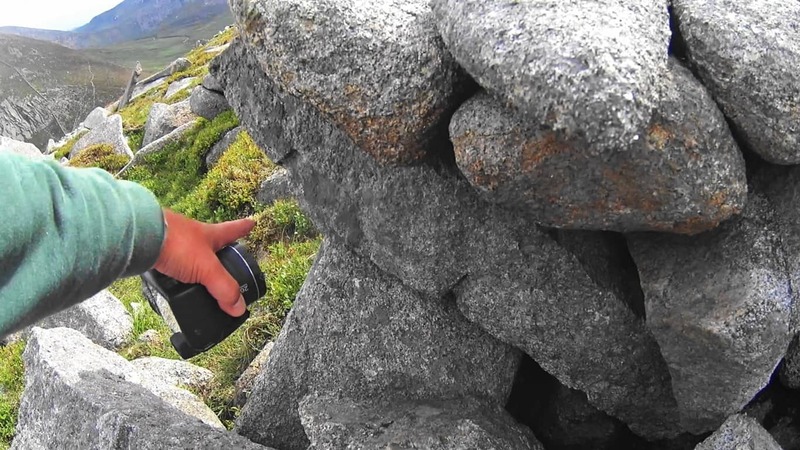 The image above of the Pass at Bearnagh is of two stone structures with a somewhat important historic meaning to convey; we should pause for a moment to consider this. The more modern wall, built in the early 1800’s, can be seen to the right. This is an actual ‘wall’ used to keep farmers flocks from crossing over into the next valley. The structure to the left is not a ‘wall’, but a 4000 to 6000 year old ‘stone-Lining’ that serves an entirely different function. This ‘Lining’ could never restrict the movements of anything in the valley, and was not intended to. Yet it was untouched by the builders of the wall next to it? 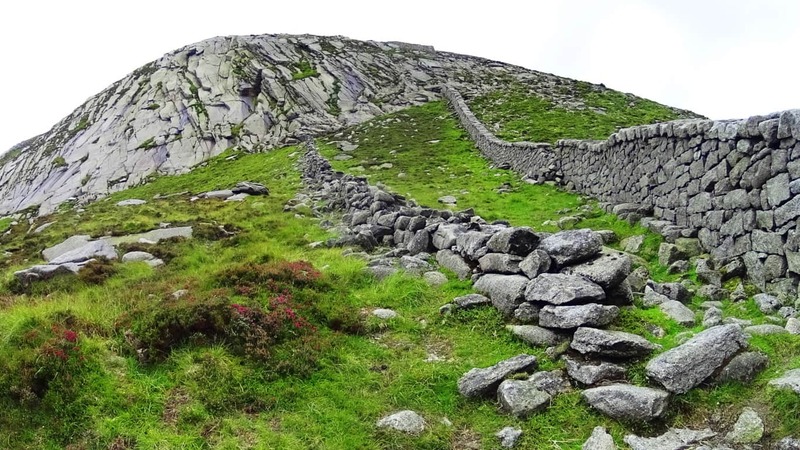 This Lining could easily have been deconstructed as the most convenient possible supply of stone for the modern wall, some 1800 feet above the valley; why was it untouched? The reason it is preserved is that it is absolutely sacred and has been at this Pass as long as anyone can remember. The Irish have a profound respect for the ancient stones within its borders, and for thousands of years, no one dared touch these stones. So what is the Linings purpose? One hint about its purpose is in the ‘Linings’ positioning. If you will notice, this ‘Lining’ runs straight to the center point of the peak beyond, extending into strange ‘stacks’ running directly up the mountain to the center of the peak. I believe these ‘Linings’ are a type of ‘stone-cable’ that run from peak to peak, cabling subtle energies which run up through the mountain to ultimately culminate at the peak, like a capstone on a pyramid. 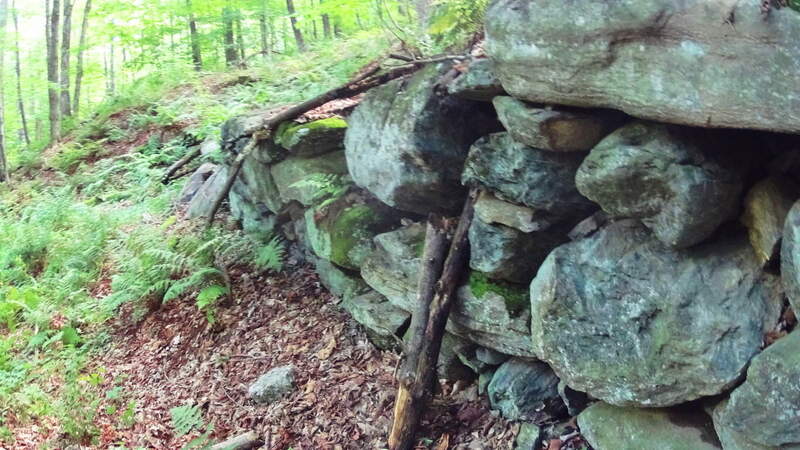 These same Linings can be found connecting peaks in the small mountains and forests of New England, and is consistent with a pattern of Neolithic engineering found in hundreds of places, and perhaps world wide. In places like this, it feels as if the higher up you go the more strange the stones become. 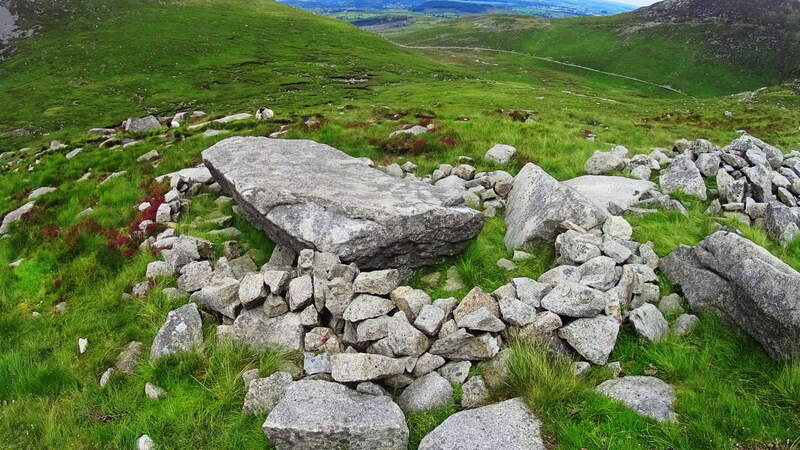 Just 35 yards away from the Lining at the Pass is a type of Cairn, a specific style of which can be found in areas with sacred stones. This type of Cairn has a square ‘roof slab’, with an emblematic looking side stone which stands like a sign in support of the long roof. This creates a kind of temperate storage compartment within the stones, which is what I believe was its use. 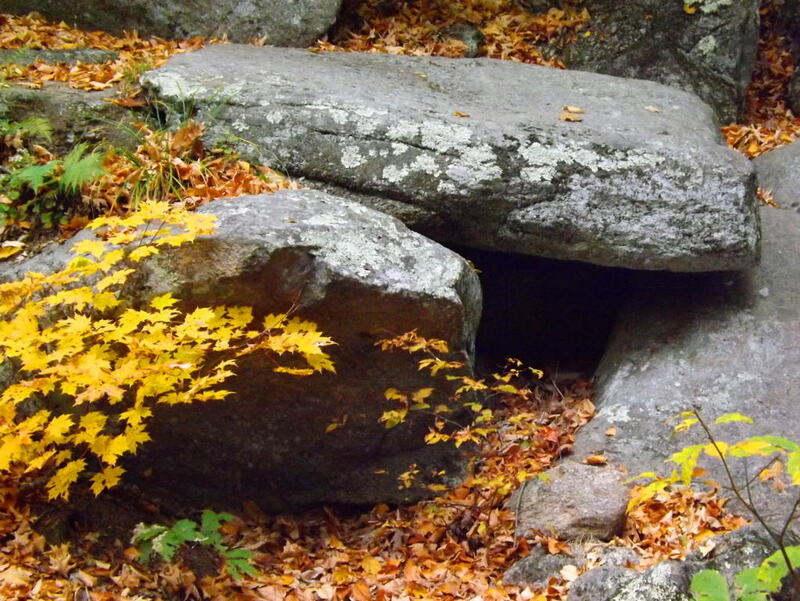 2000 miles away, hidden in the forests of Massachusetts, is a very similar Cairn located in Purgatory Chasm, a rare miniature canyon in the American northeast (featured on Stonestrider.com/Image Below, Left). 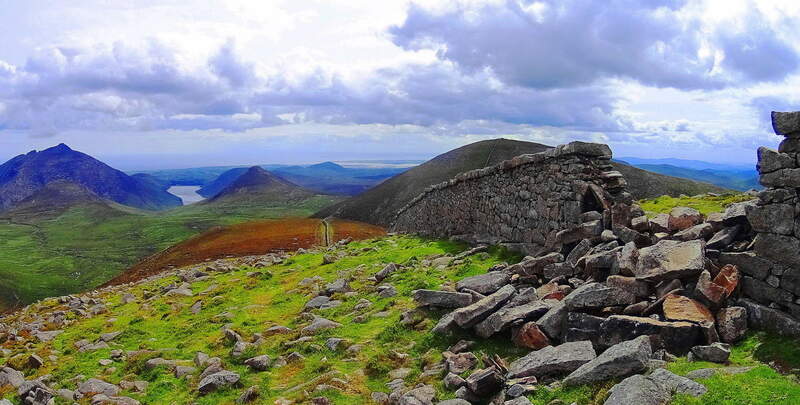 Another Cairn of this specific style can be found at the highest point of the trail behind Glenveagh Castle in Donegal, Ireland (Image Below, Right). A 20 ton stone about 100 yards down the valley looks to have been somehow sculpted to match the slope of the base of the valley. (Image/Below). This raises all sorts of questions about the earliest culture to inhabit this region. Many of the stones seem to have this reflective quality on the landscape, mimicking features beyond, imitating valleys, building connectors between peaks; who does this? It has an artistic quality, as well as raw ability to build and move massive rock sculptures. Mysterious. And it just gets more mysterious the further up you go. 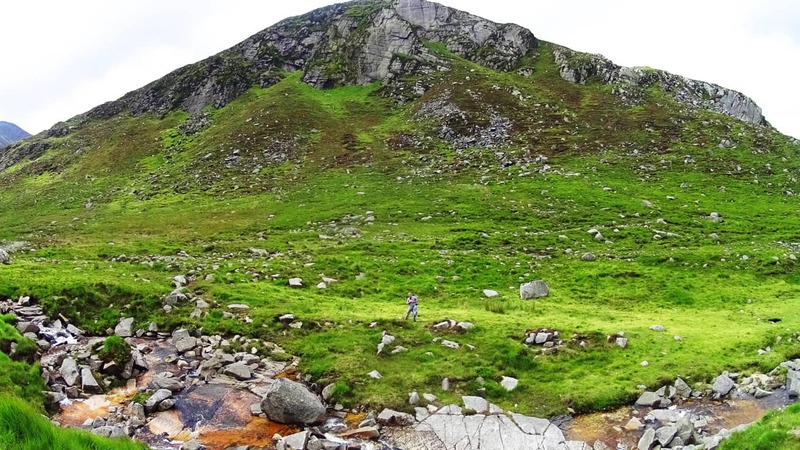 The final phase of the ascent at Mount Bearnagh is a solid challenge, but breathtaking. Here you will turn right and follow the modern wall directly up the side of the mountain for about another 3/4 of a mile to the small tower sitting above the Range. In this most elevated region the mountainside becomes inundated with dramatic sections of stone, much of which has been marked, measured, and cut into curious fixtures. 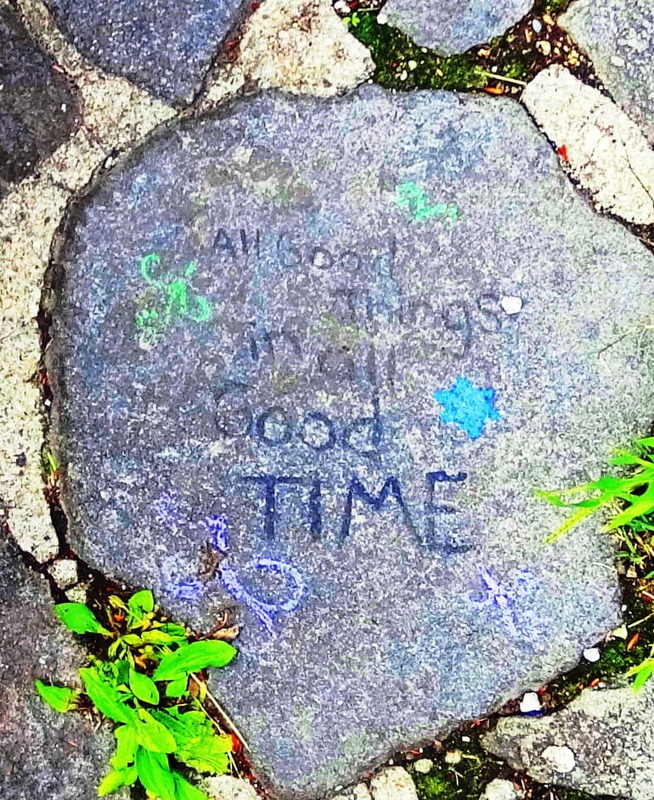 While hiking you can look closely at some of the stone statements that are totally distinct. Below is an example of spirally stacked stones that are mingled with pieces that are clearly marked, measured, and cut. This piece I’m pointing at in the image below contains a stone with three equidistant measured markings for cutting along its side; it was obviously intentional. The shape of the stones imitates a rock fixture nearly at the top of the opposite slope beyond. Notice also the thin rounded plate to the left which imitates the exact angle and roundness of the peaks on the left. These stones were absolutely placed this way to specifically mimic the opposite mountains. Unreal. I am aware that this is a challenge for people to accept; I too found it a challenge for years. But time and time again, similar expressions arise in challenging elevations that are begging to be noticed, both in Ireland, and New England (as well as the rest of the world). This is a form of megalithic expression that we are simply not accustom to acknowledging, as it has been mostly ignored by the academic community. The real question you should eventually ask is: “How could they ignore an entire mountainside of marked and positioned stones?” The logical questions that arise would challenge our picture of Neolithic history, and that looks to be what modern academia will not allow. Just beyond this magical fixture is the small tower, where a 360 degree view comes into full focus. On clear days you can see Wales on the other side of the Irish Sea! 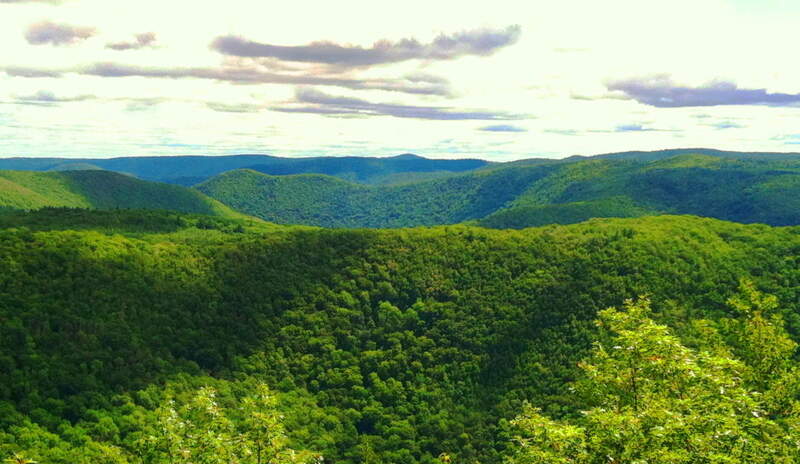 Below is the simple southern view from which your hike began. 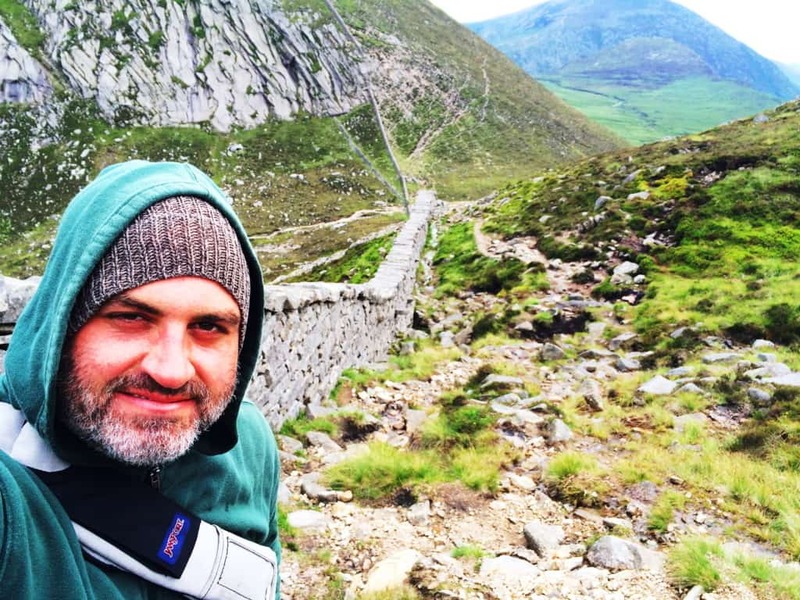 The modern stone wall continues along the elevated porch of the upper mountains, twisting surreally through the Mourne beautifully (Top Image of Article). Many hikers choose to continue hiking from small tower to small tower, while others, like myself, made the return descent back to the Pass and down the Valley. The colors here are a spongy mixture of rugged and rusty oranges mingled with profound jade and deep mossy green. The clouds play a pocketed game, with shafts of light seeping through the fast moving heavens; light arrives, sometimes in flashes over broad portions of the Mourne, while at other times appearing in prolonged beams of revelation. The air is cool and forgiving. If you have a small water purifier you could drink from the wide stream heading down the central portion of the valley back to the bottom. Enjoy the benefits of gravity assisting your 3.5 mile trek back to the station. 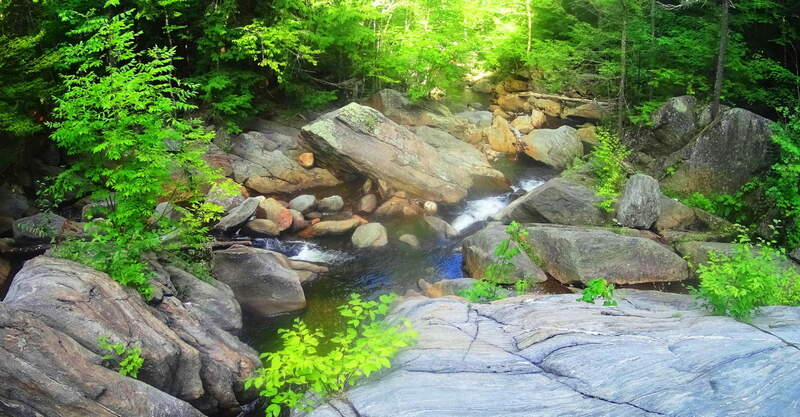 This place has the potential to be one of the best day hikes you will ever have in your life. What more do I need to say about such a place? 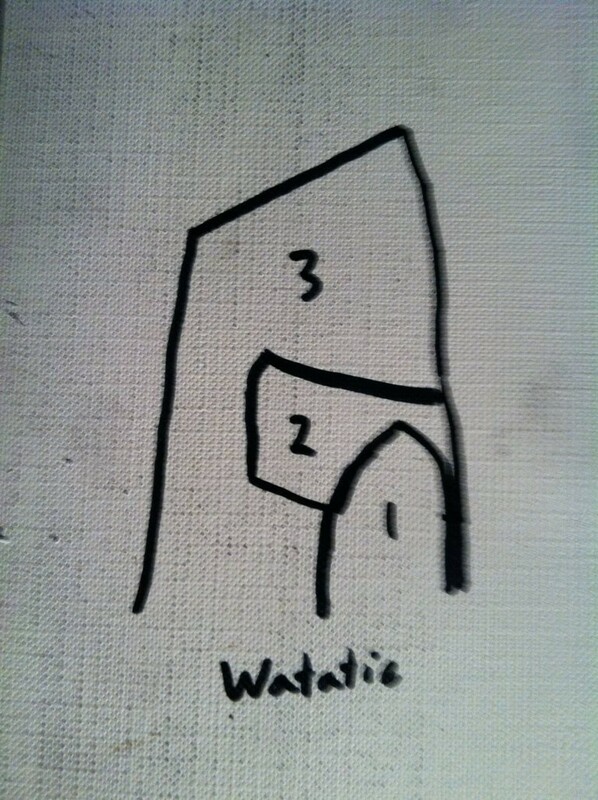 Find your way. Note: Every so often a place emerges for trailblazers that is so mysterious, so utterly stunning, that a reactionary discussion is unavoidable. 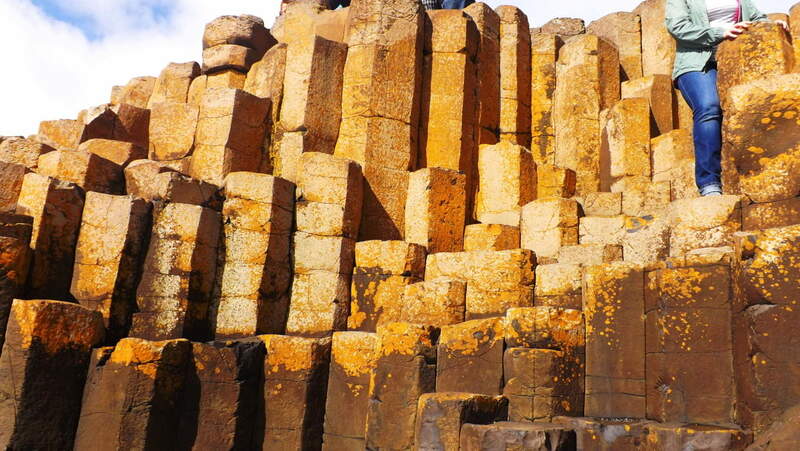 The simplest question emerges: “How did this happen?” Welcome to The Giant’s Causeway, the slightly golden, hexagonal stone courtyard on the absolute northernmost coastal point of the Emerald Isle. This is a gorgeous coastal trail, of roughly five amazing miles, that slowly elevates and bends around two gorgeous bays which cinematically ensconce one of the most mysterious sacred sites in the world. 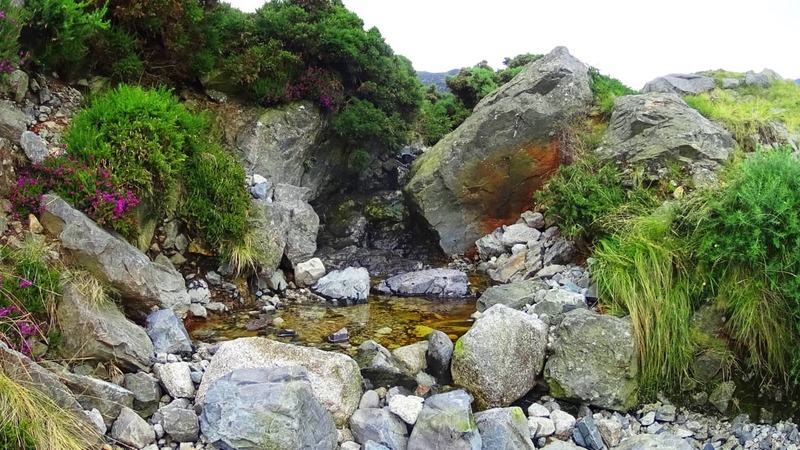 Scientific Theories: The landscape of Ireland is not just a minor variation from the nearby nations of England, Scotland, and France, just across the Irish Sea; it is distinctly different. 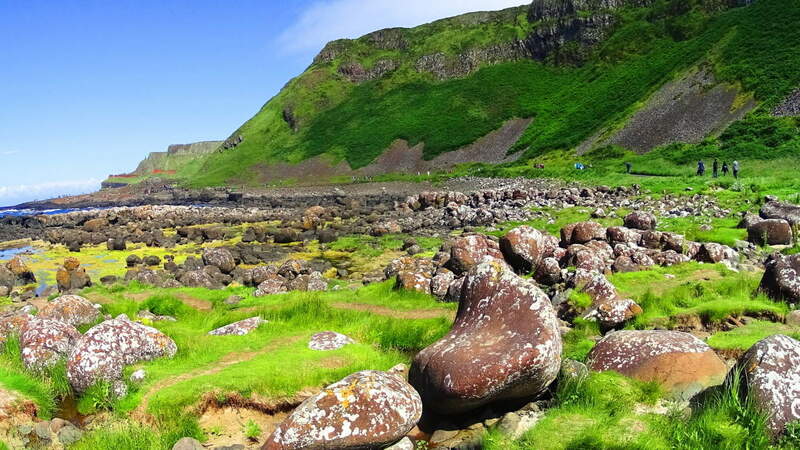 Take a look at the image above, along the bay of The Giant’s Causeway; the green coastline emerges like a Jurassic jade stone. It’s breathtaking. How does a landscape like this happen? How did Ireland happen? The answers come from all sides, and each is more challenging than the next. The author J.P Mallory in his book ‘The Origins of The Irish’ attributes Ireland’s unique glowing ‘green-colored-universe’ to the primordial history of it’s formation in the earliest periods of geological history. Get ready for this: Once upon a time, believe it or not, just after the breaking-up of the singular Pangaea Continent, Ireland was actually off the coast of… Australia. 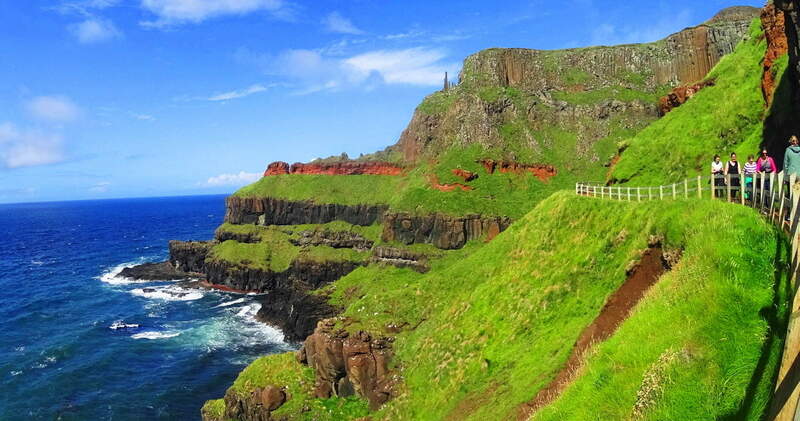 Ireland’s earliest tropical attributes come from this region. In an oversimplified explanation, Ireland slowly made its way (in what is scientifically called the ‘Ordovician Period‘) through extreme Ice Ages, Floods, and drastic Continental shifts, to reside at its preset position. That’s what scientists believe. Adding to that initial tropical origin, Ireland is at the glorious finish-line of the Atlantic Jet Stream, which is the warmest and largest tropical under-water-highway in the world, literally running from Jamaica to Ireland in it’s final phase. 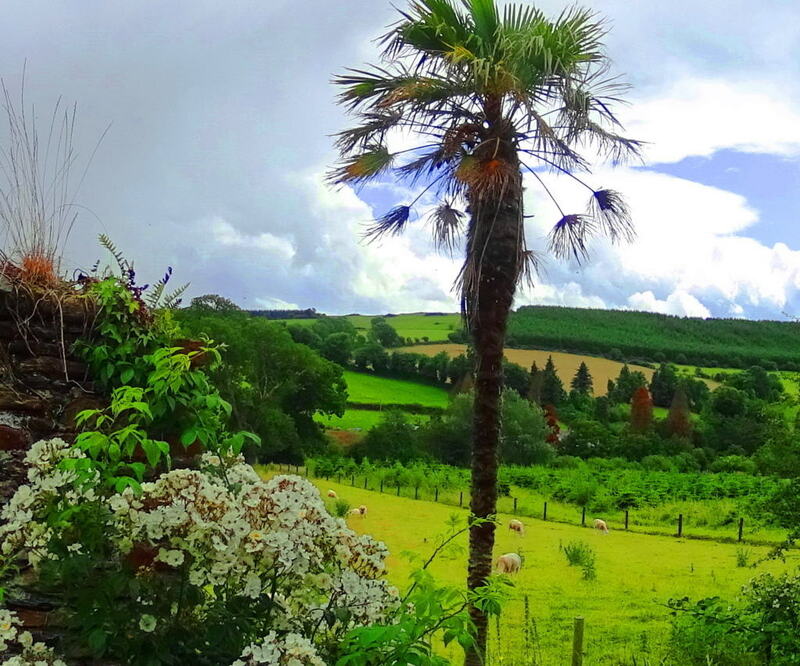 As result, Ireland’s southern coast (and England’s) is subtly marinated with Palm trees, something many people just don’t know. While hiking through Ireland you can easily begin to wonder what the actual story of this landscape is? History and Religious Myth: It is hard to accept a theory that has Ireland’s earliest origin off the coast of Australia, but the uniqueness of Ireland’s semi-tropical south, and ‘thousand shades of green’, indicate something special. 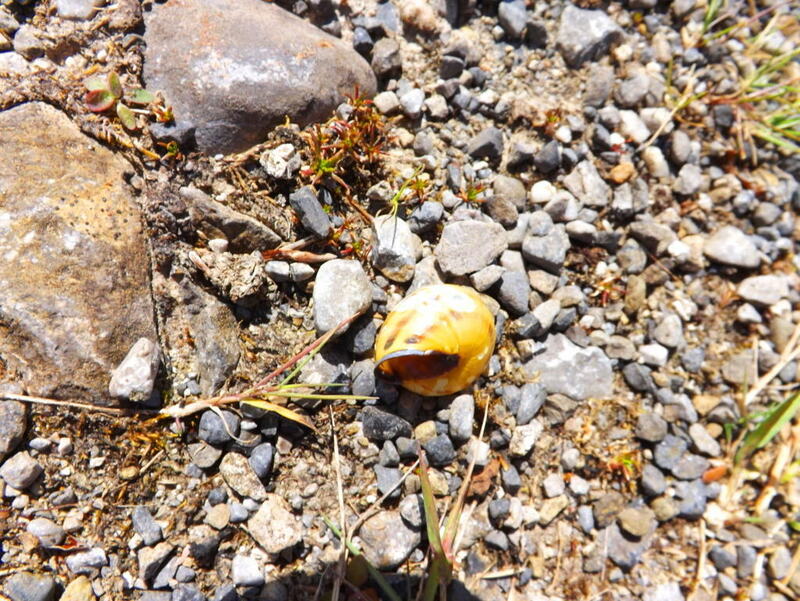 As noted before on Stonestrider.com, once, while hiking Kinnitty Mountain in the landlocked heart of Ireland, I found seashells on the mountain trail, about 2200 feet above sea level. What were seashells doing at the top of a mountain? Ireland must have been covered by the ocean at one point or another, just as other landmasses, for this to happen; and more directly, this evidence would point to the last time it happened, meaning the Biblical Flood. For some people this is also hard to reconcile, and yet it is hardly less realistic than a theory transporting Ireland from the coast of Australia. To this point, in the southwest of Ireland, there is a magical view of the Gap of Dunloe from the N71 Road, that is so spongy, so filled with undulating vegetation, that picturing it at the bottom of the ocean seems uniquely possible. (Image/Below) Like shells on mountaintops, or Palm trees growing in a northern European nation, The Causeway’ contains features that are compelling, and require some secondary consideration, to say the least. The first and most obvious of the features here are the small, but dense, golden hexagonal stone pillars lining this brilliant coastal cove. 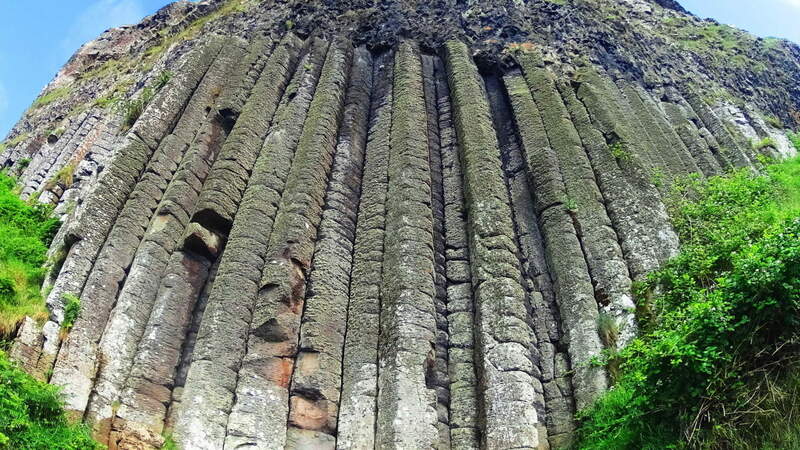 School-Age textbooks attribute the geometry of these stones to a process of volcanic lava being cooled and shaped by the ocean some 40 million years ago. For an impressionable ten year old child reading a fancy textbook this explanation might seem o.k, but for an educated, sentient adult, aware of logic and context, the explanation is almost insulting. Simply put, there are so many problems with the accepted theory. For example, in Hawaii this process of “lava cooling” is still taking place in real-time, and yet there is not a single hexagonal to be found. In fact, the lava-solids in Hawaii looks exactly as you would think; like grand layers of “syrup” slowly solidated into large round bulges of stone. These are strangely different results for two coastlines undergoing the exact same process. 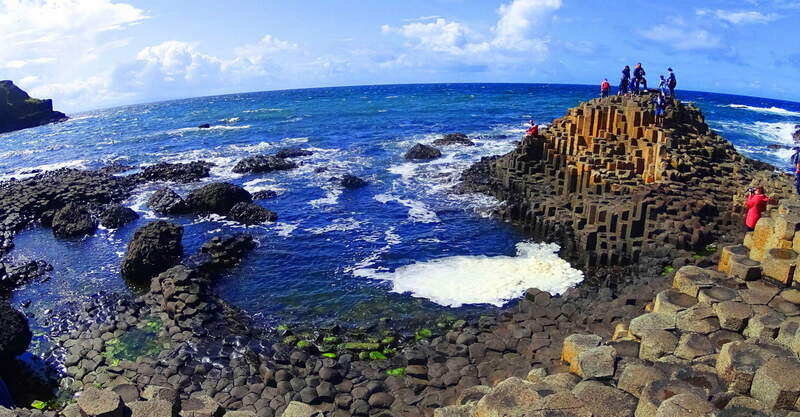 (Giant’s Causeway Hexagonals/Image/Below) Furthermore, there are no hexagonals to be found anywhere else along the coast of Ireland; not a single one. That just doesn’t make sense for such a small national coast. There is also the apparently miraculous geographic placement of The Causeway’, set like a perfect northern gateway into Ireland from Scotland, which isn’t even 70 miles north across the inner Atlantic bay. It’s as if the area says: “Welcome to our side of the Sea”; a striking entry zone specifically facing the only other international land mass in the vicinity, Scotland/Wales. View From The Trail: As you might expect from a World Heritage Site, at the beginning of the trail is a busy commercial station and parking lot that requires payment. There is even a small bus line that will take physically challenged people to the The Causeway’. Don’t use the bus-line. Walk the 200 dramatic yards down the small road to the actual trail. From here the first full vantage of the northeasterly coastline pathway appears, and it couldn’t be more inviting. In the Sun, this scene looks like a Celtic northern California. In this initial bay, before even arriving at the mysterious Causeway’, are massive stones and boulders that seem to have some kind of secret. 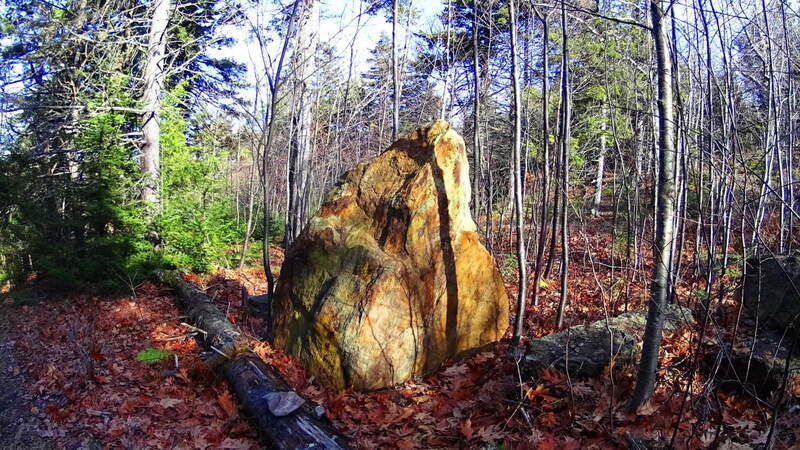 Many of the large shapely boulders have names, and are famous in the area for their form (Image/Below). There are stones look to have been placed specifically as seats, with brilliant curvatures and character. 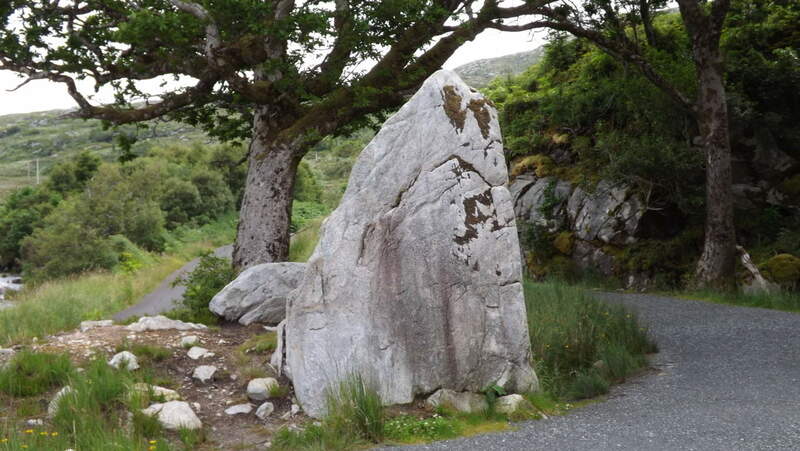 Other stones are more stoic and classic in stature, looking like legitimate standing stones (Image/Below), fixed squarely into the rock beneath them. The entirety of this rocky opening scene, before arriving at the Causeway paints a picture of a ‘rock garden’ that reveals a small taste of the striking geomorphic strangeness taking place here. Continuing eastward along the trail the Causeway’ emerges, and not without what looks like playfully designed characteristics. At first glance, the leveling of the hexagonal stones in certain areas, combined with the orientation of this circular stone enclosure, give the impression that it was once perfectly carved-out to face the Sun, all while encapsulating water in a small protected ‘hot tub’ type space (Image/Below). Taking a seat on the stones while the Sun shines overhead absolutely creates the feeling of a Spa. 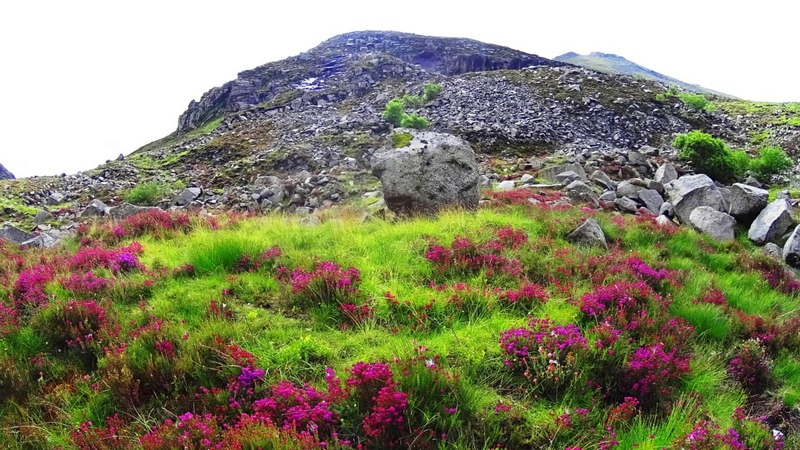 The area feels entirely functional and intentional, like many Neolithic places along waterfalls and mountainsides in New England, Wales, Scotland, and England. Continuing on the trail will bring you through a hexagonal stone gate, over a small hill, and then up the coastal path you go. As you begin the minor incline upward, yet another lessor-written-about feature is embedded perfectly into the coastal mountain face, and in only one specific area. How did lava quarry-out a perfectly squared set of evenly sectioned and leveled hexagonal stones inside the mountain? 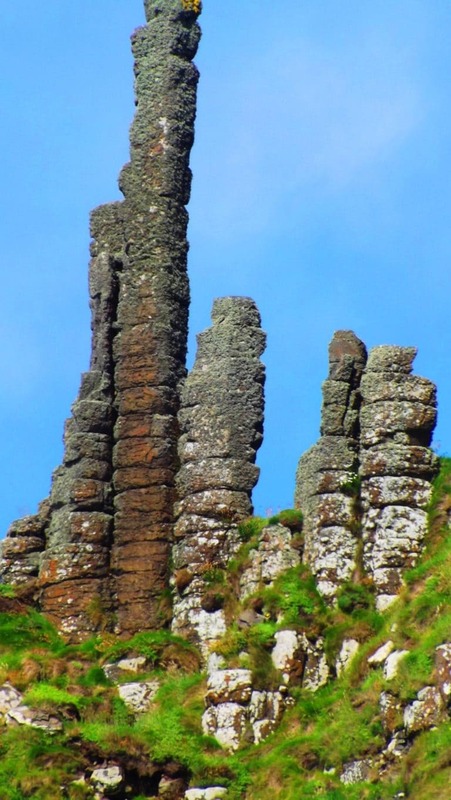 Why does the stone directly above these towering hexagonal shafts remain regular? 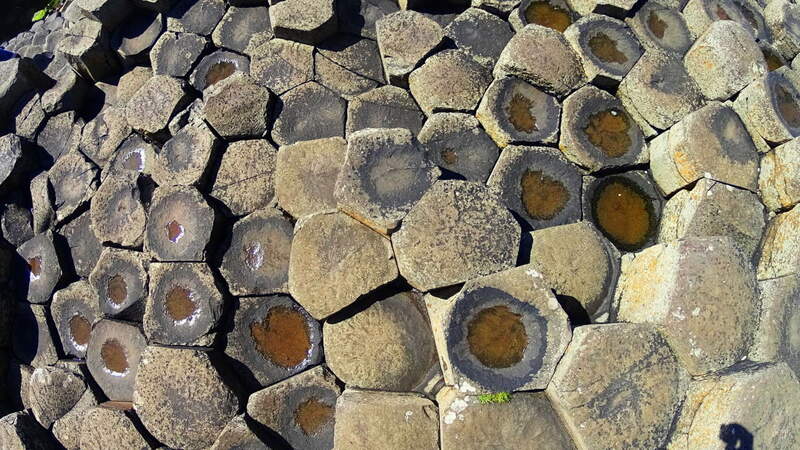 Wouldn’t these stones have absolutely been affected by this magical lava flow which seems to pick and choose, even organize, specific sections of the coast for influence? Wouldn’t these shafts be spread at random, all over the scene, for miles perhaps? It just doesn’t make sense. And of course, these shafts are not published and written about in so many text books. Why? Because the logical questions they raise are too free of the authority of those who write the textbooks. Academics know that most of us will never see this place for ourselves. 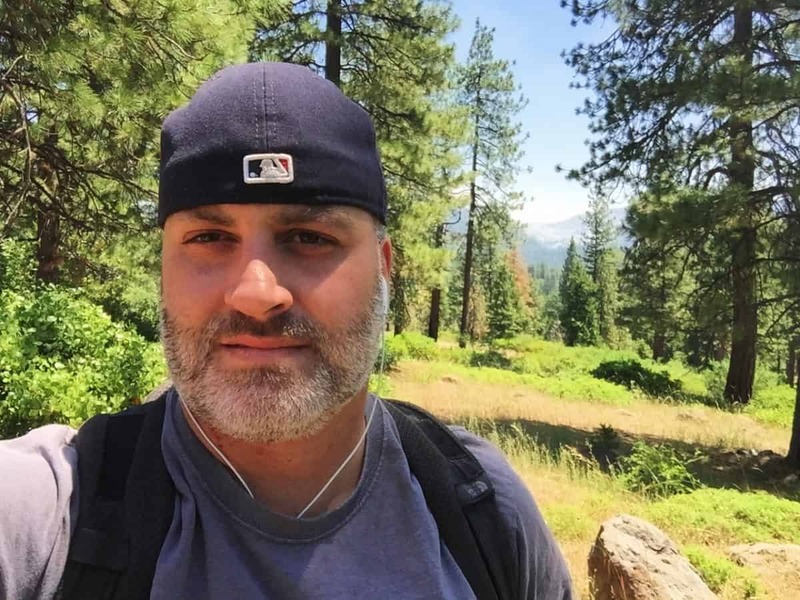 Stonestrider.com exists to inspire hikers, humble or affluent, to break through the paradigm and expectations of the individuals who are re-writing our histories, and see for themselves. Continuing up this wonderful trail brings an endearing visual of the entire bay. It is no wonder that about 5 miles west, down the coast, sits Dunluce Castle, a gorgeous 13th century fortification built at the edge of a cliff, and practically the northern edge of Ireland. This castle was utilized and enhanced wonderfully in Game of Thrones, a well deserved compliment to the area. 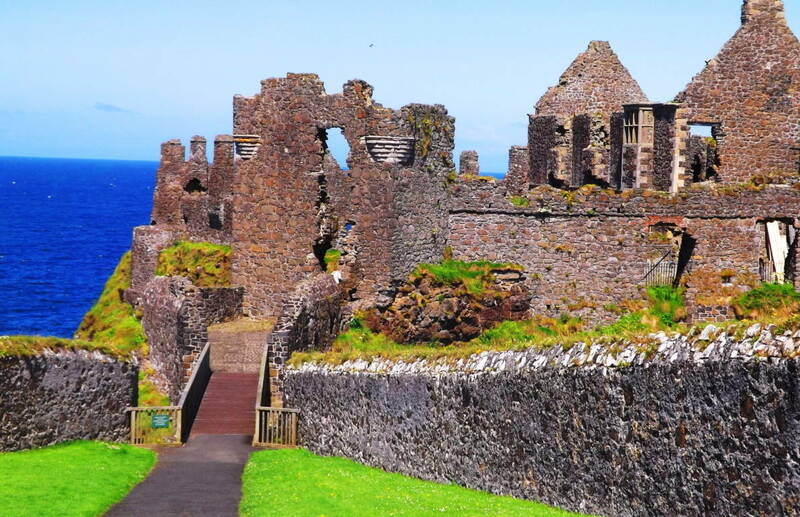 In its day, Dunluce must have been one of the most desired residences in all of Ireland. The grounds at Dunluce are open for walking, and it is certainly recommended to any sojourners to visit this incredible stone palace. Returning to the easterly trail above the Causeway’, the elevation rises as you approach the edge of the bay. Why don’t the stones below the trail, which are much closer to any theoretical flow of lava which they say came up from the water, have hexagonals? How did the lava pass them over, and then cut into the specific stones above? Logically it just doesn’t hold up. 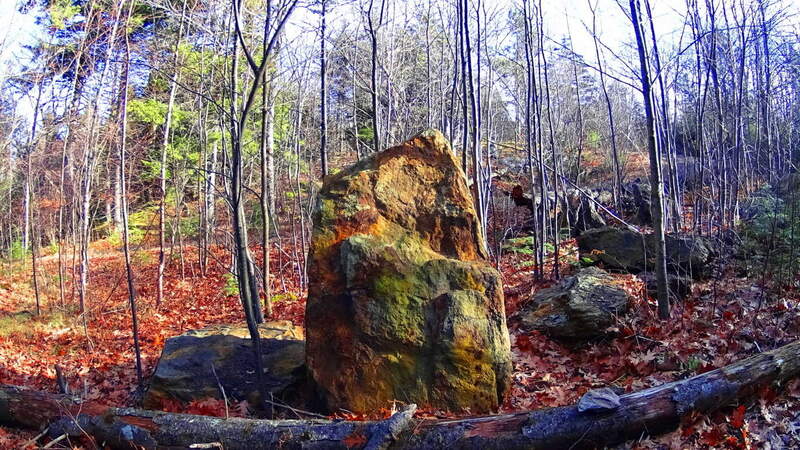 Just beyond, and above the trail, is another set of singular hexagonal stones, and in an even more specific position. 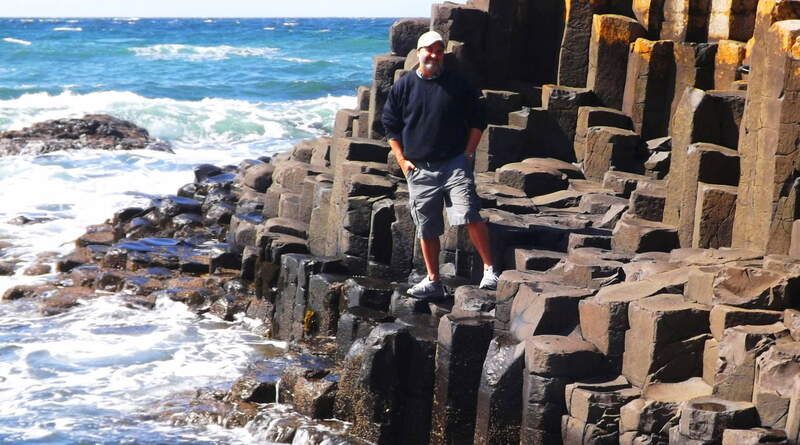 These stones mark the edge of The Giant’s Causeway, like a specific warning sign; it says someone skillful enough to create these picturesque pillars once occupied this place (Below/Left). This beautiful trail bends around to the next grand cove, and up out of the coastal wall, continuing on the mainland, looping back to its start for another 1.5 miles. 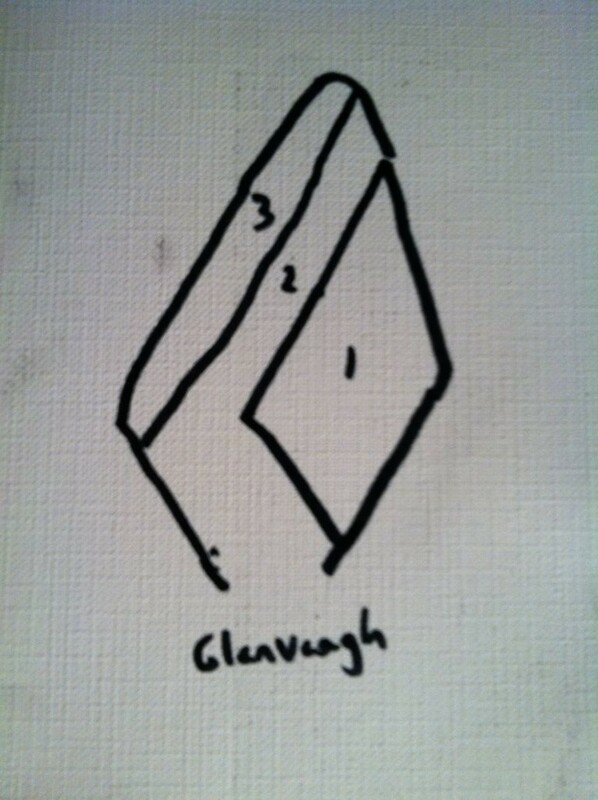 But the other coves do not contain the hexagonals; intact, no other coves do anywhere in Ireland, Many people simply walk back down the trail from the direction they came to get a last look at the Causeway’. Who could blame them? Passing through this place a hiker can see that there really is no logical way to explain what has taken place here. The magical aspect of hiking and trailblazing is palpable; stories about its origin have survived for century upon century. 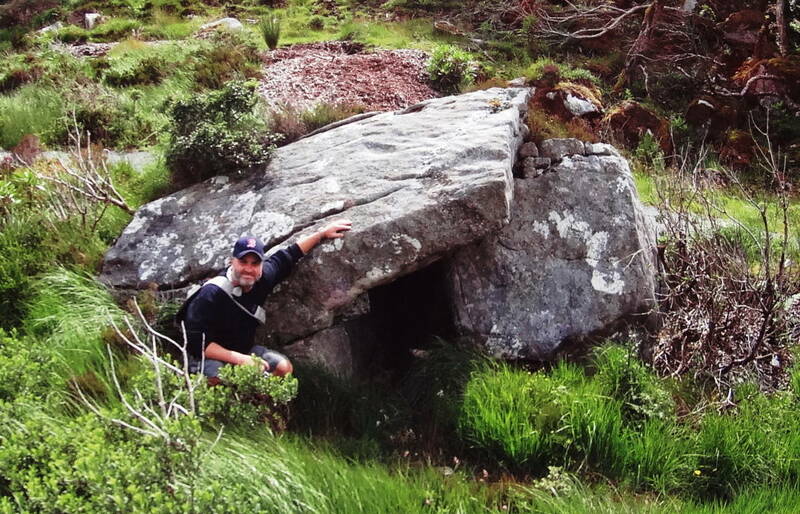 Just as the earliest Hebrew scriptures record the presence of Giants in the land, well before the tribes of mankind swept into their valleys, Ireland and England’s earliest tales are of giants. 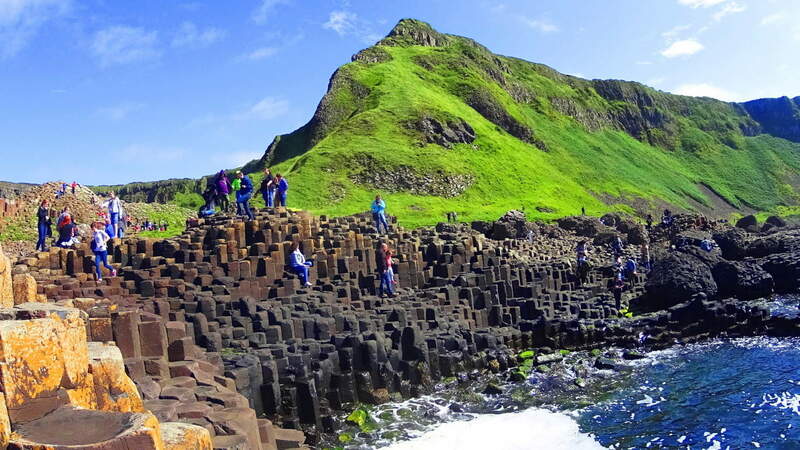 The name “Giant’s Causeway” is not without substance. 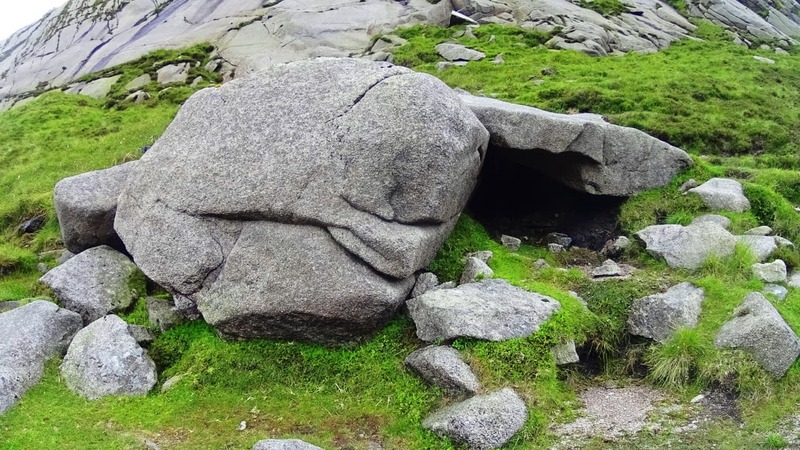 It is here that Fin McCool, the most famous Giant in both Ireland and England, is said to have exacted tolls upon those wishing to enter Ireland from the north. There are stories of epic battles with other Giants from Scotland and England, and looking around the Causeway’ it is just impossible to ignore the possibility of Fin’s presence. Looking back on the entire scene would justify any fight in order to hold on to this beautiful and epic space. 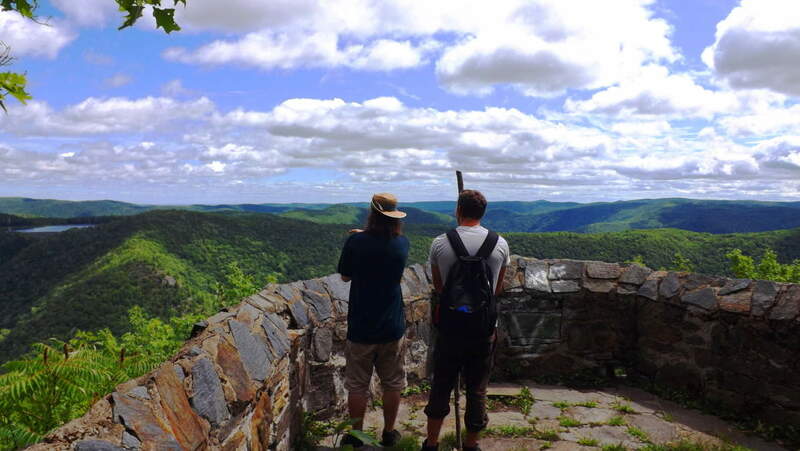 Hikers, anthropologists, story-tellers, and locals, are left to choose between stories or scientific theories, both of which stretch our imaginations, either in one direction or the other. Science seems no less ridiculous than myth, and our personal cognitive abilities are ultimately required to decipher places like this, which is a testament to its magical vibration. It would be a lot easier to dismiss the idea of Giants as ridiculous if they weren’t written about so clearly in ancient scripture, and embedded in literally every cultures deepest mythical roots. Hike the Causeway’ for yourself, it’s the only way to get just a little closer to what actually might be the case here. 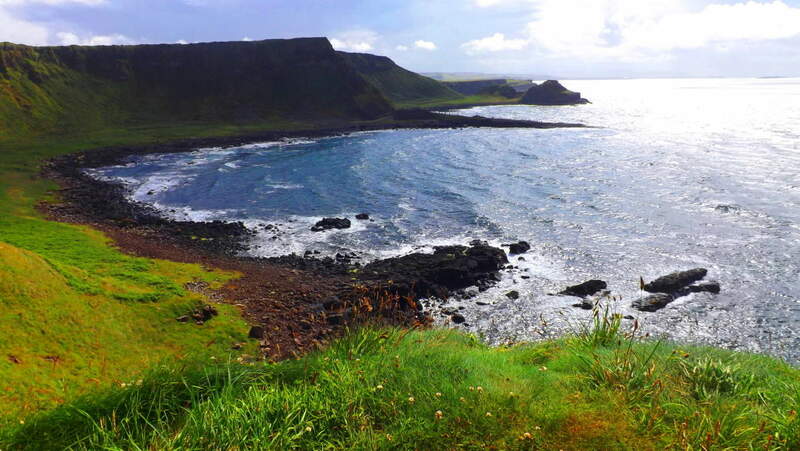 As a new Spring emerges, give yourself a worthy challenge and head to the beautiful northern Irish coast; it’s a “can’t miss”. And of course, may the road rise to meet you, until the cove of hexagonals greet you.